She nearly lost the ticket after leaving it on the floor of her sister's truck. A single mother was all smiles (and a few tears) recently when she claimed a $343.9 million check for being one of two winners of the $687.8 million Powerball jackpot. 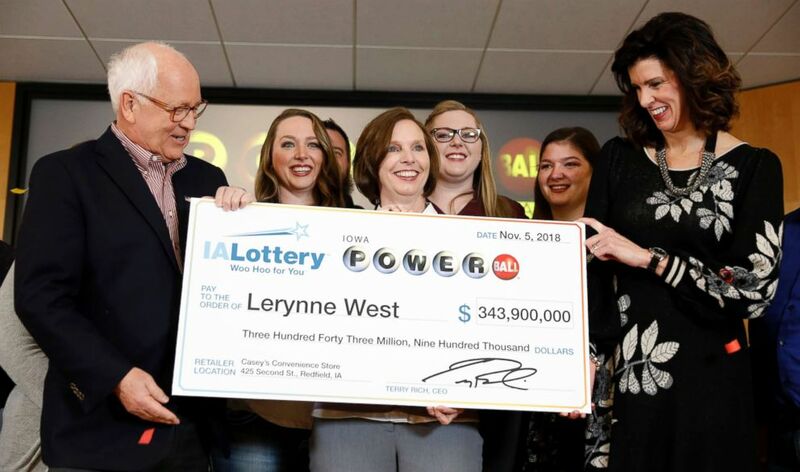 "I have been extremely blessed to win this big Powerball," Lerynne West, 51, of Redfield, Iowa, said during a news conference Monday at Iowa Lottery headquarters. "This will forever change my life." (Charlie Neibergall/AP) Lerynne West, of Redfield, Iowa, speaks to the media after arriving to claim her share of a nearly $700 million Powerball prize, Monday, Nov. 5, 2018, at the Iowa Lottery headquarters in Clive, Iowa. West, the mother of three adult daughters and six grandchildren, said she'd worked full time and attended school full time as she raised her children. She thanked her family and friends, some of whom were present at Monday's event, for their love and support. "My girls and I used to dream of winning the lottery," West said. "Never thought we would be here today." West said she would take the $198.1 million lump-sum option. "I know the responsibility that I have to do good with this money." In a news release Monday, the Iowa Lottery said this latest drawing was the largest lottery prize ever won in the state. The other jackpot winner was in New York City, though that winning ticket had yet to be claimed. West said Monday she usually played the lottery twice a week when she had the money. 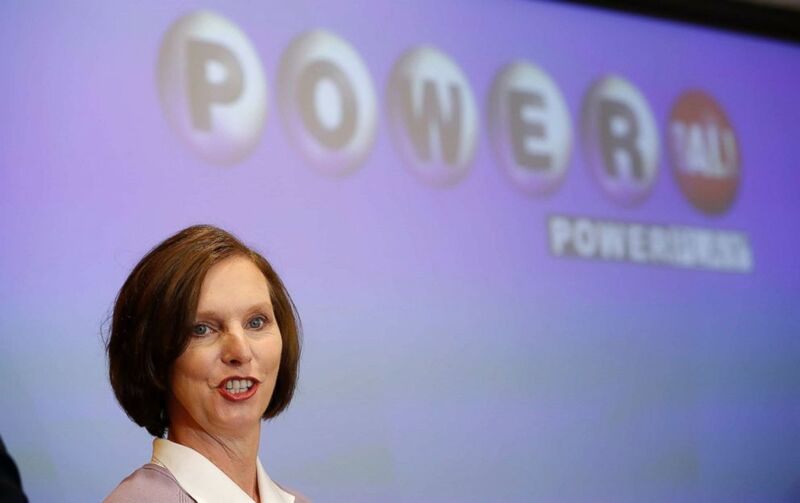 She said the most she'd ever won prior to the Powerball jackpot was $150. On Oct. 26, West, who had just purchased her first home, was with her sister when she bought a lottery ticket while grabbing a bite to eat and some coffee. When she got into her sister's truck, she said, she thought she'd put the tickets into her purse. The morning day after the Oct. 27 Powerball drawing, a friend called her to say that someone had won in Iowa. When she couldn't find her tickets, West said, she called her sister who found them on the floor of her truck and sent her a picture of the numbers. When West checked them against the winning numbers, she was in disbelief. "I said to my sister, 'Get that ticket, get in your truck and get up here now -- and drive slow,'" West said Monday. A now-retired health care analyst, West said her winnings would ensure her grandchildren were able to afford college and that she could take care of her family, including seven siblings and her mother. She said her family had also established the Callum Foundation, named after a grandson who was born prematurely and died a day later, to help others in need. "I know the responsibility that I have to do good with this money...I do consider myself very lucky and very blessed," she said. "I never want to forget where I came from." (Charlie Neibergall/AP) Iowa Lottery CEO Terry Rich, left, presents a check to Lerynne West, of Redfield, Iowa, center, for her share of a nearly $700 million Powerball prize, Monday, Nov. 5, 2018, at the Iowa Lottery headquarters in Clive, Iowa. For herself, West said she first planned to replace her Ford Fiesta that has 142,000 miles on it. The Powerball jackpot winning numbers in Iowa and New York were: 8-12-13-19-27 and Powerball 4. The Power Play number was 3. All six numbers had to match to split that $687.8 million grand prize, the lottery said.